John grew up on the shores of the Phillips Chain of Lakes and can't remember a time that he wasn't chasing Musky. He started working at the local sport shop when he was 16 and bought Ross's Sport Shop 5 months after getting out of high school. Ross’s Sports Shop & Guide Service supplies all gear needed: Tooth Tamer or Deep South Fishing Rods, Shimano Reels, Quality Lures from Dreamcatcher - Bobbie Bait - Doetails - and many other popular companies, PFDs in the summer and Power Auger, Portable Shacks, Electronics, Rods, Tackle, Tip-ups for ice fishing along with any live bait needed. If you need it and don't have it, they will. 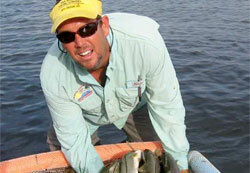 Captain Joel is a native Floridian and Southwest Coast resident. He has fished and hunted the globe from Africa to Argentina, Australia to Hawaii, Costa Rica to Canada, Bahamas to Mexico, Virgin Islands to Puerto Rico along with many other areas. After his vast experience of different lands and waters, he is convinced the world's most epic fishing adventures are right here in the gulf and bay waters! 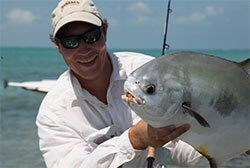 Let Captain Joel prove to you that this is unequivocally the true sportsman's epicenter! In addition to his guide service, Joel runs and participates in a number of charitable fishing tournaments throughout Tampa Bay, and is the Head Captain of WWIA’s Purple Heart of the Bay Charity Fishing Tournament. Chris Willen has been musky fishing for well over a decade, from the freestone rivers of the Upper Midwest to the limestone rivers of the Cumberland plateau and most places in between. One of the things he has enjoyed the most is sharing the sport of fishing with others, which is why he began Chris Willen Guide Service. 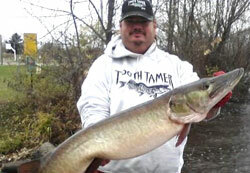 Chris specializes in hunting wild, native musky in the beautiful lakes, rivers and flowages of northern Wisconsin. A knowledgeable and innovative angler, he can customize a day on the water to match any skill set, from beginning musky fly anglers just getting started in the sport to more experienced anglers looking to sharpen their skills with fresh methods and new approaches. Chris's guide service offers all-day and half-day float trips on beautiful Northwoods watersheds; he also offers multiple boat trips to accommodate larger groups. Wherever his angling adventures lead him, Tim Fischer is dedicated to achieving, then sharing, a profound understanding of the fishery. 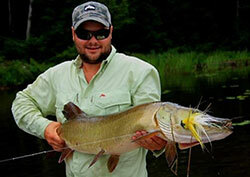 A lifelong angler, Tim was introduced to the art of fly fishing at an early age. 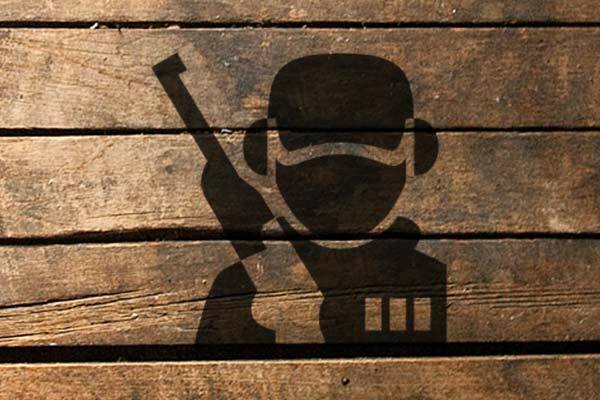 Since that time, it has been his primary drive and passion. He divides the year guiding for musky and steelhead in northwest Wisconsin, managing a premier flats fishing lodge on the Yucatan Peninsula and guiding clients to rising trout on the Henry's Fork in Idaho. Tim's fly fishing knowledge, patience and even-keeled disposition make for a great day on the water for novice and advanced fly anglers alike. Richard joined the U.S. Army in 1989 and was stationed at Ft Bragg NC, and is now still serving in the Ohio Army National Guard. He served in Desert Shield/Storm as well as in OIF II as a Combat Engineer. Richard’s passion is to spend hours on Lake Erie fishing for Walleye and the walleye fish family. He didn't get into fishing the big waters of Lake Erie until 2000, but has been hooked on big water walleyes ever since. 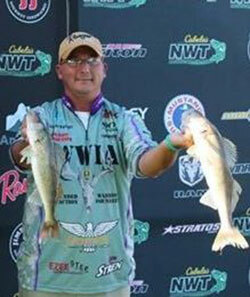 Starting in 2010, he began fishing in many of the walleye tournaments in that area. Richard is a valued volunteer at WWIA. He promotes the Foundation by wearing the logo at nationally televised fishing tournaments as well as sharing program information. He also contributes time by setting up information tables at Combined Federal Campaign fairs and Ohio State Employee Campaign events. Living in the West Chilcotin on the edge of the Coastal Mountains in British Columbia, Doug and Julie McMann along with their two children Colton and Courtney, enjoy the outdoor lifestyle of hunting, fishing and horseback riding. Their guide service, Skinner Creek Hunts, caters to small groups of hunters and individual hunters who stay in one of three modern log cabins, equipped with a wood stove, hot water and electricity. This awesome part of British Columbia hosts an abundance of wildlife which can be hunted during the spring, fall and winter seasons, including mule deer, Canadian moose, mountain goat, black bear, cougar and lynx. Service Provided to the WWIA: WWIA fishing guide and host of our Alaska Halibut event, John Moline is an avid hunter and loves fishing. He grew up in Holcombe, WI, then moved to Seward, AK in 1996 after 10+ years in the U.S. Navy. 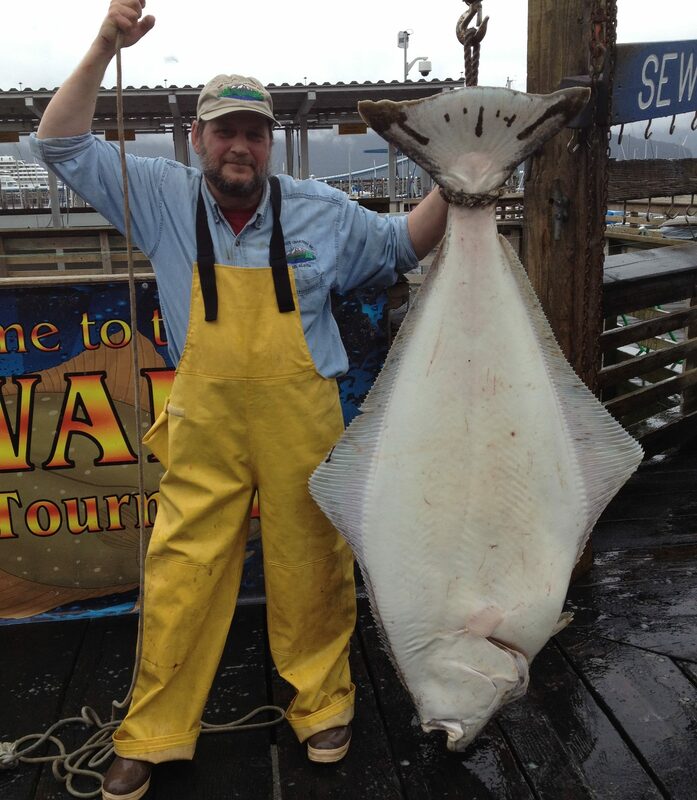 John is the owner of INN and OUT Charters, Inc. and Kenai Fjords B&B, both in Seward. He has enjoyed charter fishing since 2003, which he treats like a hobby, not a job, so it’s still fun. He recently dropped from 3 boats to just 1 so he can enjoy life again.